When it comes to decorating the bedroom, your first thought should be that it is your safe haven, as well as a stress-free and relaxing environment. The bedroom should be your own place to escape, even if it is only for a couple of hours. Below is a guide put together on six different aspects to think about when transforming your bedroom into your own sanctuary. We spend way more time than we think in our bedrooms. It is an important room, as it is where we both start and end our day. Because our bedrooms are mostly for sleep, our beds become a focal point in the designing process. It all starts with the size of the bed and learning which bed you prefer and what will work with your room layout. For example, Queen-size beds are just the right amount of space for two people and do not require a bigger room. They measure 80 inches long and 60 inches wide, making them the right size to avoid overwhelming the room. Queen-size beds also work well with four-poster bed frames and classic furniture. Bring life and a personal touch to your bedroom by using contrasting colors and textures for your pillows and throws. The materials you use for your bed impact how happy you feel during the day and how well you sleep at night. The shade, color, and decoration of the walls are just as important as the bed. The color of the walls should be soothing and create a calming effect. Sticking to the green, blue, purple, silver, gray, and neutral color wheel will not only slow your breathing, but help lower your blood pressure. Decorating your walls should not be overdone. Designate a spot to frame significant memorabilia and photographs that mean the most to you. Having these meaningful aspects in your bedroom will create a vibrant, positive, and relaxing atmosphere. Window treatments are an important part in making your bedroom feel and look complete. They bring texture and warmth to bare walls, add dimension, and enlarge your room. Window treatments can also provide you with more time to sleep by blocking the harsh light early in the morning. Some of the favorite window treatment styles are contemporary plantation shutters and floor-to-ceiling, which can highlight an amazing view or be used to add an eye-catching pattern. 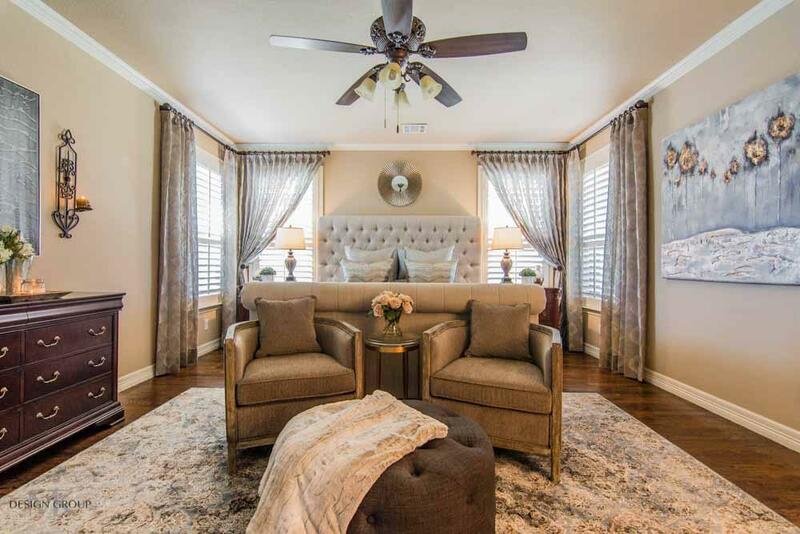 Decorate with window treatments to really add that extra touch to your bedroom. The accessories are always the fun part, but there is a method to this madness. Once a week, put fresh flowers in your room. Decorating with leafy plants or fresh flowers will clean the air and create a fresh and pleasant fragrance. In addition, studies show that simply being next to a vase of flowers is enough to leave you feeling less stressed, happier, and may even provide you with a burst of inspiration. The seating area is an important part of the bedroom that gives you a designated place to sit, relax, converse and recharge. Allow yourself some room for a seating area by making sure there is at least an 8 by 8 foot area in addition to your bed measurements, chests, and dressers. 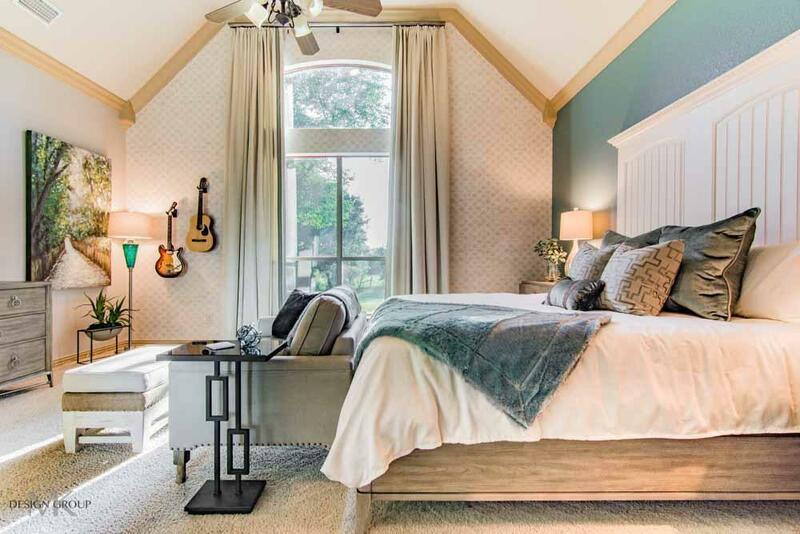 Every bedroom is different in their own way, so there are a variety of styles that you could incorporate in the seating area. You could place a love seat, bench, or a pair of comfy chairs or ottomans. Whatever you may choose, make it fit your own personal style. A seating area can make the space feel a little more intimate for you to unwind and end the day on a positive note. Using warm yellow bulbs, instead of bright LED or fluorescent bulbs will make such a difference in your bedroom. The LED fluorescent bulbs are harsh, while the warm yellow bulbs create a relaxing, soothing, stress-free environment. Always consider what tasks will be taking place in your bedroom. For task and accent lighting, you can incorporate lamps for a working desk area. If you are a bedtime reader, you can use a nightstand lamp or install a hanging overhead light to free up more room on the nightstand. Installing dimmer switches and remote controls on all light fixtures could be a life changing experience. This will allow you to take control of your bedroom lights and the intensity of the dimming, while also helping reinforce your body clock to adapt to the various times of day. 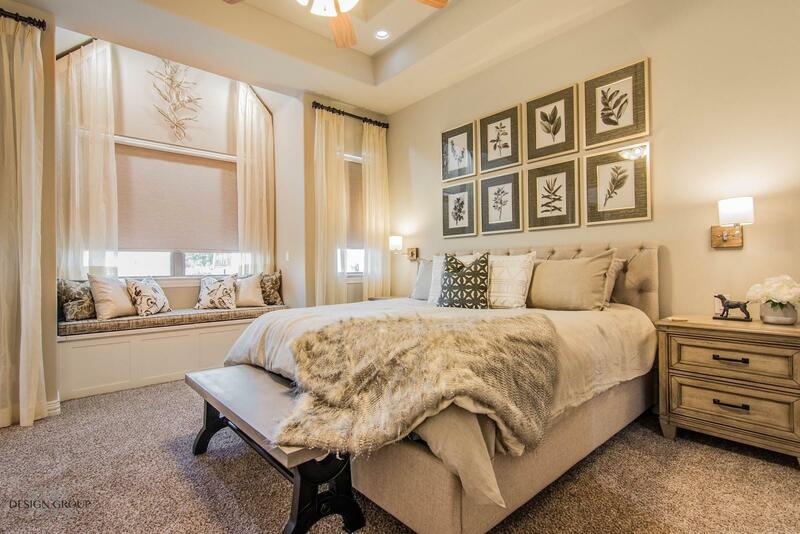 The bedding, walls, window treatments, accessories, and lighting all play a very important role in designing a bedroom. If you incorporate all of these into your own bedroom, you will see and feel a difference. Now, go and use this guide to escape your daily stress in your very own bedroom. Interior Design & Decorating Services | Concept to Completion | No Design Fees | We Come to You!